The International Space Station will soon be abristle with docked space trucks, as a SpaceX Dragon resupply vehicle prepares to join its Russian Progress and Orbital ATK Cygnus counterparts mated with the orbiting outpost. 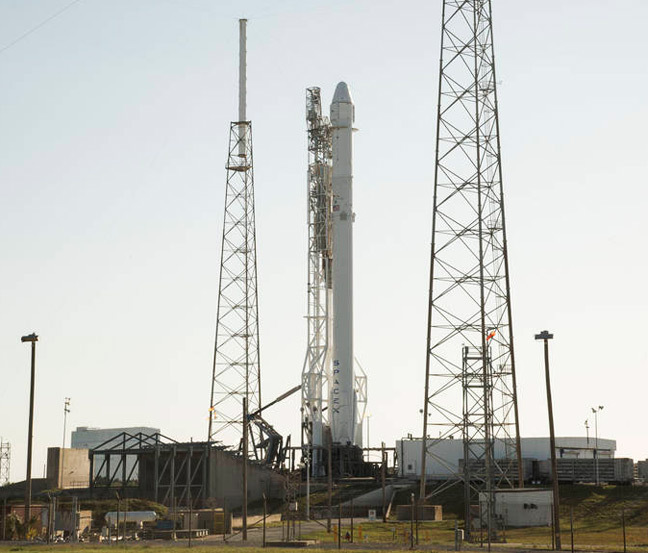 The Dragon is scheduled to launch from Cape Canaveral atop a Falcon 9 lifter at 20:43 GMT (4:43 PM EDT) today, carrying science kit, supplies and the Bigelow Expandable Activity Module (BEAM). 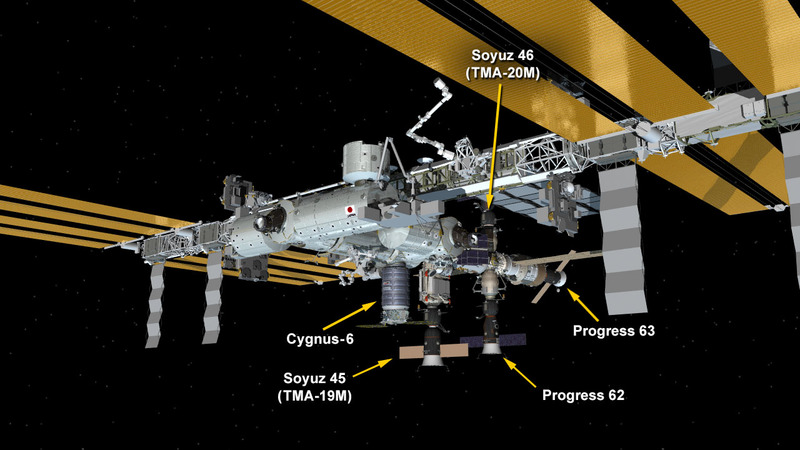 The Cygnus-6 blasted off to the station on 22 March, while the Progress 63 resupply van docked on 2 April, joining the Progress 62 which has been hanging around the station since last December. Parking at the ISS on 2 April. 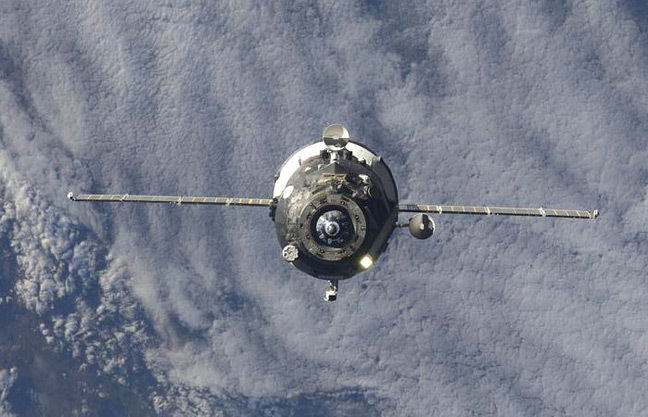 Clockwise from top: The Soyuz TMA-20M spacecraft is docked to the Poisk mini-research module. The ISS Progress 63 spacecraft is docked to the Zvezda service module. The ISS Progress 62 spacecraft is docked to the Pirs docking compartment. The Soyuz TMA-19M spacecraft is docked to the Rassvet mini-research module. The Cygnus cargo craft is attached to the Unity module. Dragon's arrival will mark the first time it and Cygnus have been at the ISS simultaneously. Kirk Shireman, NASA's ISS Program manager, said the private US space delivery van meeting represents "a significant milestone for our partnerships with American companies to deliver cargo to the International Space Station". He added: "Commercial resupply missions enable NASA, private industry and other government agencies to continue the extensive scientific research taking place aboard the space station."